Plow through the snow and ice with ease and carry the family in style with these best SUV deals lease and purchase January 2013. Note that SUV deals from Hyundai, Mazda and Nissan are good only through the end of January 2013, Dodge until February 4, those from Chevrolet, Buick, GMC expire February 28, Honda’s and Kia’s expire March 4, and Ford deals last until April 1. 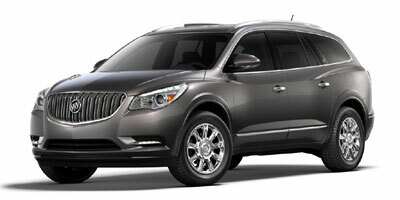 2012 Buick Enclave – Buyers can get 1.9 percent financing for 60 months or $1,000 consumer cash. 2012 Chevrolet Equinox – $500 cash back (four-cylinder), $1,000 cash back (six-cylinder), or zero-percent financing up to 60 months. 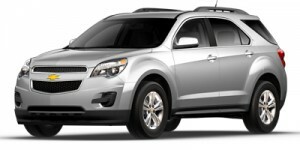 2013 Chevrolet Equinox – 1.9 percent financing up to 60 months (purchase), $189 per month for 39 months with $2,549 due at signing on Equinox LS 2WD (lease). 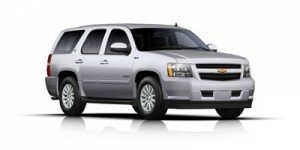 2012 Chevrolet Tahoe, Tahoe Hybrid – $3,000 cash back or zero-percent financing up to 72 months. 2013 Chevrolet Tahoe, Tahoe Hybrid – Purchase deal: $1,500 cash back on Tahoe LTZ, $750 on LS, LT or Hybrid, or 3.9 percent financing up to 60 months; lease deal: $429 per month for 39 months with $2,439 due at signing on Tahoe LS 2WD. 2012 Chevrolet Traverse – $2,500 cash back or zero-percent financing up to 60 months. 2013 Chevrolet Traverse – Purchase deal: $500 cash back or 1.9 percent financing up to 60 months; lease deal: $259 per month for 24 months with $2,919 due at signing. 2013 Dodge Durango – Zero-percent financing for 36 months, or up to $4,000 cash allowance. 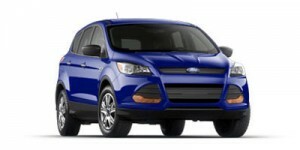 2013 Ford Escape – Up to $2,000 cash back or 2.9 percent financing for 36 months. 2013 GMC Terrain – Zero-percent financing for 48 months plus $500 bonus cash (purchase), or lease Terrain SLE-1 2WD for 39 months at $199 per month with $2,939 due at signing. 2013 GMC Yukon, Yukon Hybrid – Lease Yukon SLE 2WD for 39 months at $399 per month with $4,199 due at signing. Purchase Yukon Denali or Yukon Hybrid (with preferred equipment group) and get $1,500 consumer cash, or $750 on non-Denali or Yukon Hybrid without preferred equipment group. 2013 Mazda CX-5 – Purchase the Mazda CX-5 and get 0.9 percent financing for 60 months (available in the Northeast, Southeast, Gulf States, Midwest and West). Lease Mazda CX-5 Sport front-wheel drive (FWD) with automatic transmission is for 36 months at $219 per month with $2,999 due at signing. $310 per month with $0 down and $0 first month’s payment. 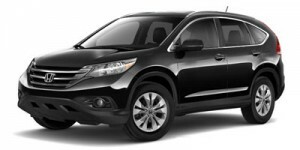 2013 Honda Pilot – Buyers can get 0.9 percent financing for 24 to 36 months or 1.9 percent for 37 to 60 months. Or, lease Pilot LX 2WD with five-speed automatic transmission for $289 per month for 36 months and pay $2,499 at signing, or $360 per month for 36 months with $0 down, $0 first month’s payment. 2013 Hyundai Santa Fe – Lease the Santa Fe Sport with popular equipment package for $269 per month on a 36-month lease and pay $2,999 at signing. 2013 Hyundai Tucson – Lease Tucson GLS for 36 months at $309 per month with $0 down, $0 first month’s payment. 2013 Kia Sorento – Buyers get $1,500 cash back or zero-percent financing for 60 months or 1.9 percent for 72 months, plus $1,000 bonus cash for both financing offers. Or, lease Sorento LX for $239 per month for 39 months, with $1,999 due at signing. 2013 Nissan Armada – Purchase deal: $2,000 bonus cash, or 1.9 percent financing for 36 months, or $4,000 cash back. Lease Armada SV trim with four-wheel drive for 39 months at $539 per month with $2,999 due at signing plus $2,000 bonus cash. 2012 Nissan Pathfinder – Lease Nissan Pathfinder S trim with four-wheel drive can 36 months at $299 per month with $2,399 due at signing. On a purchase, there’s $500 NMAC cash (when financed through NMAC). 2013 Nissan Rogue – Buyers can get zero-percent financing for 36 months plus $500 NMAC cash, 0.9 percent financing for 60 months plus $500 NMAC cash, 1.9 percent for 72 months plus $500 NMAC cash, or $1,500 cash back plus $500 NMAC cash. NMAC cash only available when financed through NMAC. Lease Rogue S AWD for 39 months at $209 per month with $2,999 due at signing (Northeast), and $249 per month for 39 months with $2,999 due at signing (Southeast, Northwest, West and Southwest).